Welcome to Adventure Counseling and Training! Would you like to improve your physical, emotional and spiritual health? 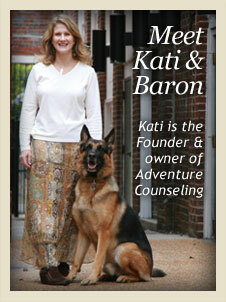 Adventure Counseling & Training Services, PLLC provides many choices to help you meet your goals! Our licensed counselors and trained health coaches offer many services to help you achieve integrated wellness in your body as well as in your relationships. We offer individual and family counseling, recovery and life coaching, parenting & relationship consultation, addiction interventions, and professional development consultation. All the tenants of Adventure Counseling & Training Services, PLLC strive to provide you a comfortable and confidential environment for you to explore new perspectives on your life, your relationships, your body and your dreams. It’s a creative and fun atmosphere where you will be accepted and encouraged to engage in the adventure of the therapeutic change process. We invite you to choose a guide for your journey to healthier living and contact them directly; or call Kati 615-483-3449, and she can help you determine who best fits your needs! Begin the journey of taking care of you!